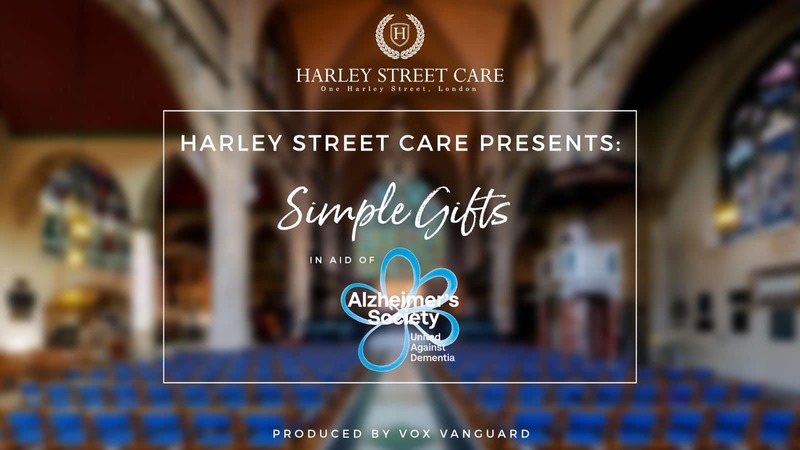 We are delighted to announce our event ‘Simple Gifts’, an immersive fundraising concert, to benefit the Alzheimer’s Society on the 4th of May 2017, (19.00 – 21.30) at Holy Trinity Church, Sloane Square, London. Our suggested admission donations can be found below. If you can’t attend but would still like to donate then please feel free! Once your donation has gone through our JustGiving page linked on the right, tick the box alongside “I’m happy to be contacted by “. Justgiving can then share your contact details with us and we can send you a ticket. These words were once spoken by one of the most influential composers of the 20th century, Aaron Copland, who died in the year 1990 of Alzheimer’s Disease. But what if one cannot remember time itself? Does the music go on? Memory is something sacred to a musician, to all of us, and to lose it is one of our greatest fears. Though Aaron Copland may have lost his memory at the end of his life, he left us with an immutable oeuvre of masterpieces that like time itself will flow eternally; always transporting us to a place deep within our minds, sparking the synapses of memories long forgotten. Join us for an unforgettable, therapeutic and immersive musical experience. Come to the place you ought to be and give a Simple Gift to someone that can scarcely remember why he or she is still here.